A Break - Baku on the up! You can expect to hear a lot about Baku in years to come. 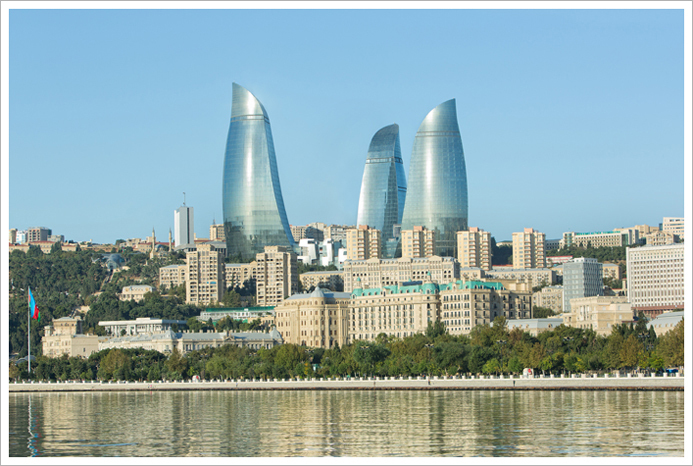 And not only because the capital of Azerbaijan is pegged to host the first European Olympic Games in history in 2015. But because this city bordered by the Caspian Sea is fired by crazy ambitions and wants to become the new Dubai! The financial windfall from oil and gas has been defining for the city. At the time of the USSR, this small republic of 10 million souls was already providing 80% of the oil throughout the Soviet countries. Today, Azerbaijan is not sharing this wealth. And Baku is progressively covering itself in breathtaking buildings, each more magnificent than the last, as if to prove to the world that when you have oil, you will also have big dreams! As Azerbaijan means “the land of fire keepers”, what could be more logical, therefore, than to construct a building in the shape…of flames! 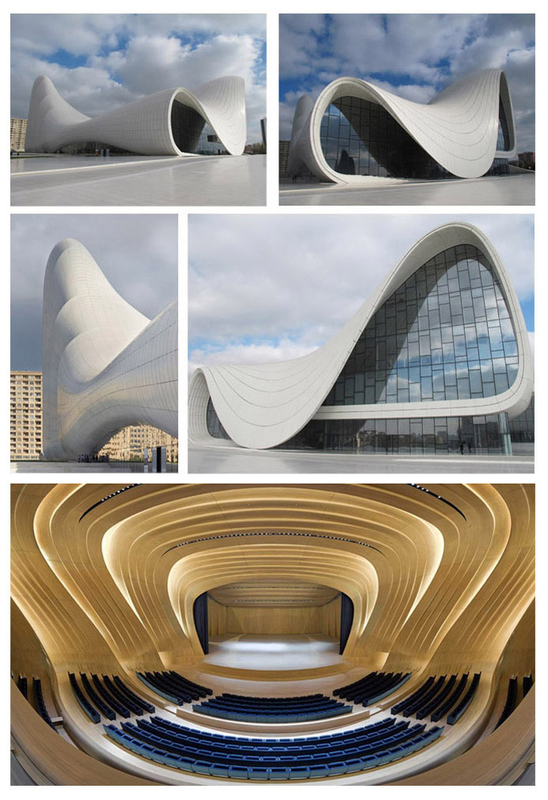 It would seem that the architects of Baku have been given license to express themselves without limit. And voilà, this is how three 36-storey towers came to be erected out of the ground! With the old town below them, one gets the impression that a huge alien spaceship has landed on the hill. The sight of these three towers is truly spectacular. And it’s impossible not see them wherever you are in Baku. So far, only one tower is open and features a brand new Fairmont hotel. The entrance hall is over 18 meters high with a chandelier consisting of 600000 crystal beads that crushes you its splendor. 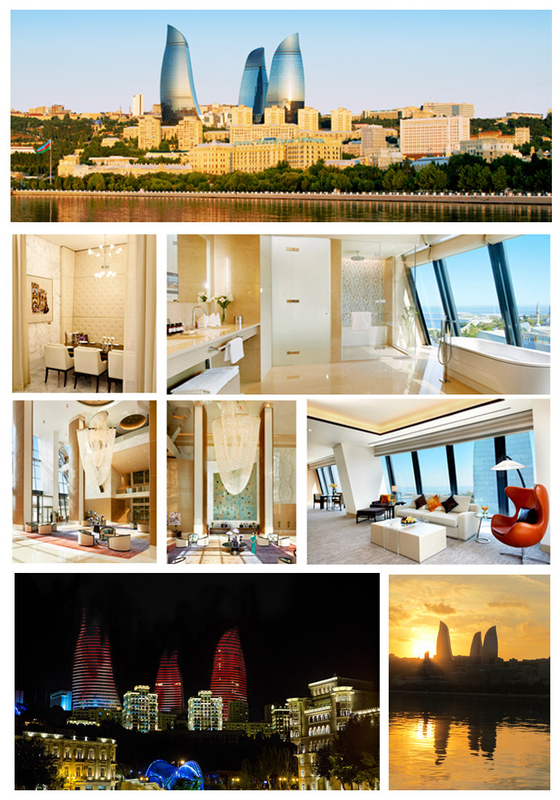 The 300 rooms overlook the city and offer an uninterrupted view of the sea. With a 5000 m² Espa spa and several restaurants, a stay in this hotel is nothing short of outstanding. In a few months, the other two towers complete with luxury private residences and offices respectively will be open, as well as a shopping center and a cinema. It goes without saying that the Flame Towers have not finished in their mission to dazzle the entire world! 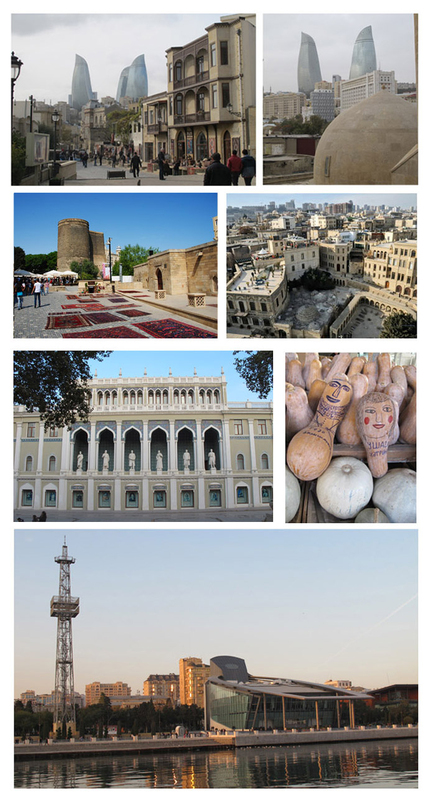 The old city of Baku is not true to its name. The streets and walls of the buildings have been renovated and washed so they look brand new! And yet, the site has been occupied since the Bronze Age! At an absolute must-see is the “Virgin tower”, a symbol of the country. It was at the top of this tower that a loved-up princess was trapped to be cast into the sea, which has now retreated several hundred meters. Located on the Silk Road, Baku has retained some of its caravanserais that have been transformed into restaurants. Declared a World Heritage by UNESCO, the old town is a tiny pocket of winding streets and flowered balconies, making it a very pleasant place to walk around before strolling along the waterfront, perfect for families and lovers who wish to immerse themselves in the oily and eternally calm waters of the Caspian Sea.